2 Events to visit this week! There are two new items out there this week BUT they're at two different events. Find the teleport links below the photos. 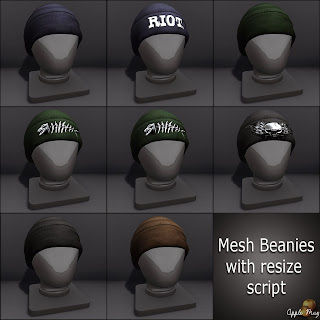 First up is the Mens Dept event with a monthly round up of incredible designers with unique items. 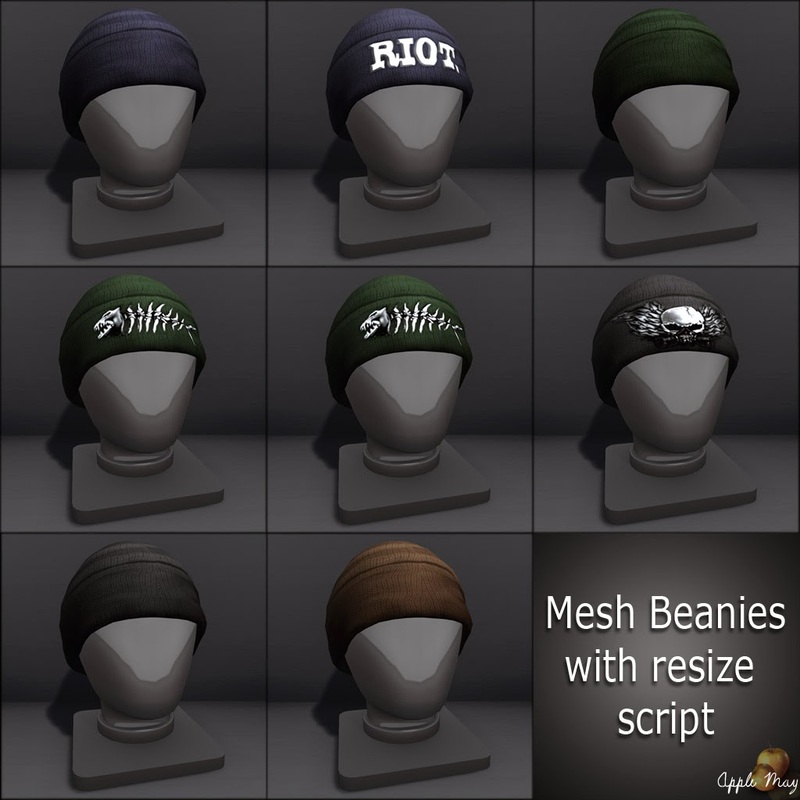 There you'll find these new mesh Beanies in 8 different varieties. Next up is the wonderful She & Him event dedicated to providing new fashionable items to both the guys & girls each month. 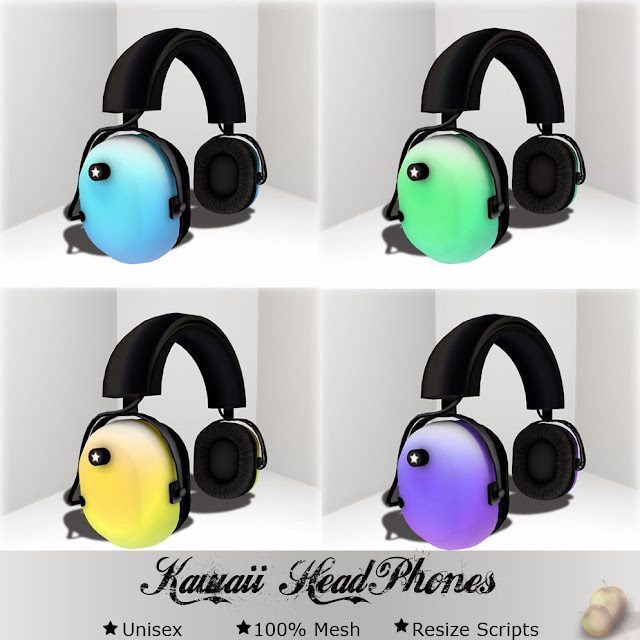 These Kawaii (mesh) HeadPhones are provided in both the head resting position as well as around the neck. Final day of Skin Sale! 75L Skin sale on ALL AMD skins!